Recently I have been working with a Mitel 5330 IP phone. These phones have a port on the back for a headset. I had an old plantronics headset laying around (not the amp, just the headset) and I hoped that by plugging it into the back, it would work for this phone. After all, one of the main features of this phone was the Headset-readiness. That old Plantronics headset did not work. So I benched the idea for a while until I ran across a product on Amazon called the T100 Headset. This headset said it would work for VOIP Headset ready phones, so I gave it a try. Check it out from Amazon below. DVD to DROID updated to Version 1.01! Update fixes some issues with black bars and scaling. Implements new stretching of video to 16:9 regardless of screen format. Author Nick JolinPosted on November 28, 2010 Categories PostsLeave a comment on DVD to DROID updated to Version 1.01! 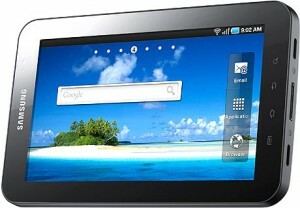 Use DVD to DROID to Rip DVD’s to your Galaxy Tab! That’s right! The easiest DVD Ripper can convert your favorite DVD’s to your galaxy tab! Author DoTheWebPosted on November 22, 2010 November 24, 2010 Categories PostsTags DVD, DVD rip, DVD to DROID, Galaxy Tab, Galaxy Tab DVDLeave a comment on Use DVD to DROID to Rip DVD’s to your Galaxy Tab!